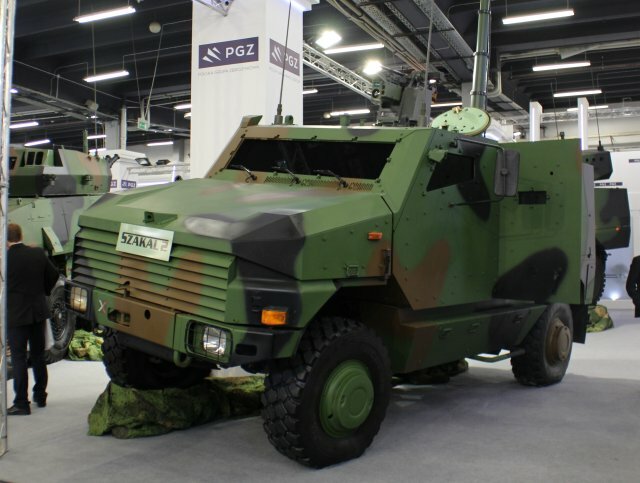 Technological and commercial links between French and Polish defense companies continue to strengthen at MSPO 2014, with the presentation by WZM of a Polish version of the Nexter Aravis, the Jackal 2 4x4 light armored vehicle. Based on the Nexter ARAVIS, light Armored 4x4 vehicle Jackal 2 was designed to primarily meet the requirements for protecting personnel against the full range of threats as ballistic agressions, mines, splinters, shells and IED's blasts as well. Jackal 2 vehicle is dedicated to high risky environments for all high added value tasks : patrols and direct fire support ; road clearance for engineers units ; law enforcement and VIP escorts. Light armored 4x4 vehicle Jackal 2 is a 13-ton class armored vehicle. It is currently one of the best protected vehicle in its category, thanks to the Nexter SAFEPRO concept, which provides a high level of protection superior NATO Level 4, such as ballistic protection Level 4, mine protected Level 4a and 4b and blast effect protection frome IEDs. The worldwide known Mercedes UNIMOG chassis provides an excellent tactical mobility due to its proven reliability coupled with centralized tire pressure adjustments system and run-flat system. Jackal 2 family consists in several variants, declined from the basic patrol vehicle, equiped with RCWS 12.7 mm.